To celebrate the 4A's 100th anniversary, Campaign US compiled the top 10 slogans from the last century. The best slogans dig their way into the brain and never leave. This month, Campaign US is teaming up with the 4A's to celebrate the organization's 100th anniversary. 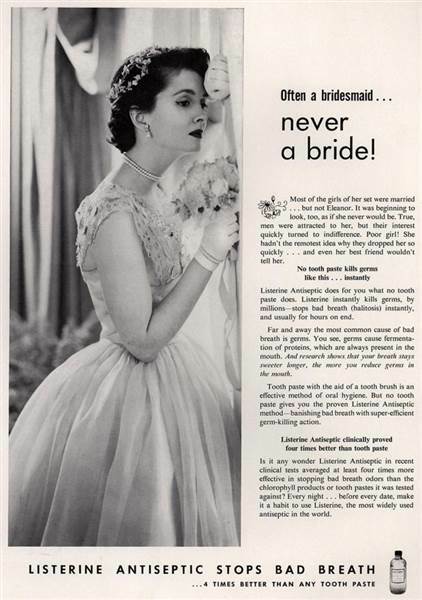 We're counting down the top 100 ads from the past century, including the most memorable taglines. Get ready to have these run through your head for the rest of the day. Richard Trentlage was a songwriter living in Illinois when he heard Oscar Mayer was holding a jingle contest. In just an hour, he penned this simple refrain, inspired by a bit of '60s slang his son had used. The focus groups loved it, and a year later ads by J. Walter Thompson began running on the radio. It took 20 years before Dan Wieden admitted publically that Nike's most famous slogan was inspired by the last words of Utah serial killer Gary Gilmore. The three little words helped position the brand as an aspirational, attainable goal, worn not only by athletes but as a fashion statement. After character actress Clara Peller uttered this now-famous line, it became an instant sensation nationwide. Democratic presidential candiate Walter Mondale used it to help defeat Gary Hart for the nomination, and it permanently entered the cultural lexicon, now often completely divorced from its original purpose. In the late 1970s, the Army was having trouble drawing high-skilled recruits. But N.W. Ayer's catchy jingle positioned the Army as a good career move, a place to learn tech skills and a good alternative to the Navy or Air Force. The slogan ran for 20 years before being retired in 2001 (when Y&R won the account in 1986, they were surprised to find they had to keep the tagline), and ended up popular not just with new recruits, but current servicemembers and veterans, too. In 2001, competition between the big wireless carriers was heating up, and Verizon needed a way to tout its larger, more extensive network. Cue Paul Marcarelli, an earnest-sounding everyman cast as Test Man but long known to everyone as The Verizon Guy, who turned the primary existential question of the digital age into a catch phrase. At least until he switched to Sprint in 2016. Contrary to legend, it's unlikely these words were first uttered by Teddy Roosevelt after a cup of Maxwell House, expecially considering Coca-Cola used the same slogan in the early 20th Century. But the coffee company still adorns its packages with the phrase, which first appeared in 1915, making it one of the most enduring taglines in history. Yes, Milton Glaser created the iconic design for the slogan, but it was writtten by Mary Wells Lawrence and Charlie Moss at Wells Rich Greene. While most closely associated with New York City, it was actually envisioned as a campaign for the entire state. Steve Karmen's music track for the original 1977 spot was adopted as the state song three years later. Keith Reinhard spearheaded this concept, which origianlly ran as a print ad. 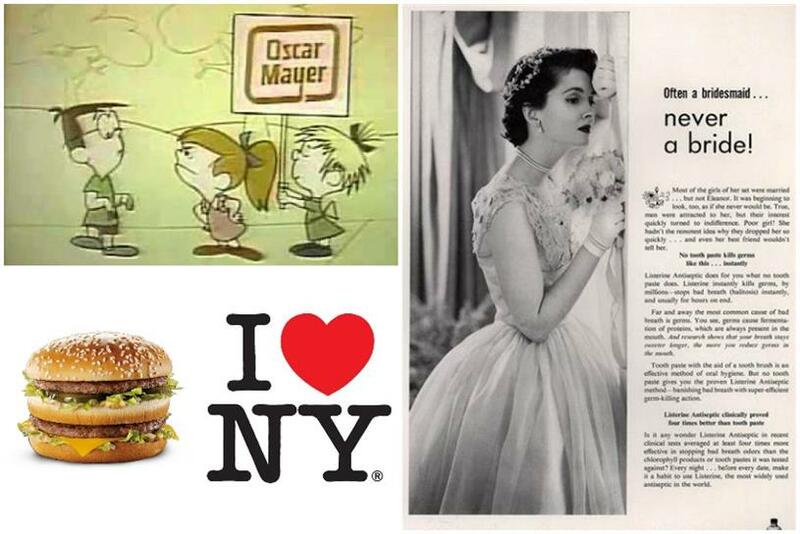 DDB created the TV spot soon after, though it took a few tries before the final form of the phrase solidified: "lettuce" before "cheese," "on a bun" not "and a bun." McDonald's ran contests across the country awarding free Big Macs to anyone who could say the whole slogan within a few seconds. Thought the spots only ran for a year and a half, the tongue-twister entered the lexicon permanently. This adage has been the slogan for the UNCF for more than 40 years. In that time, it's helped raise more then $2 billion for more than 350,000 students. It's become such a familiar saying that it's spawned spoofs, like the "A Waist Is a Terrible Thing to Mind" magnets that were ubiquitous on American refrigerators in the 1980s. Listerine was a surgical antiseptic in search of new things to keep clean. Launched in a series of ads in 1924, this tagline has been so enduring because more than just creating a product, it created the concept of halitosis—bad breath that could be fixed. It was so effective, it was responsibe for a 75-fold increase in earnings for the company over 7 years, and the phrase has taken on the veneer of an age-old truth.